SANTA CLARA, Calif. – Von Miller had 2.5 sacks and forced two Cam Newton fumbles as the Denver Broncos defense dominated the high-octane offense of the Carolina Panthers 24-10 in Super Bowl 50. Newton and Miller will forever be linked in NFL lore as the players were selected No. 1 and 2 overall in the 2011 NFL draft respectively. With the game on the line, Miller outplayed Newton, sacking the NFL MVP and forcing two turnovers that turned into both Denver touchdowns. Newton's counterpart, Peyton Manning, likely will retire from the game of football a champion, much like Broncos Hall of Fame great John Elway did in 1998. 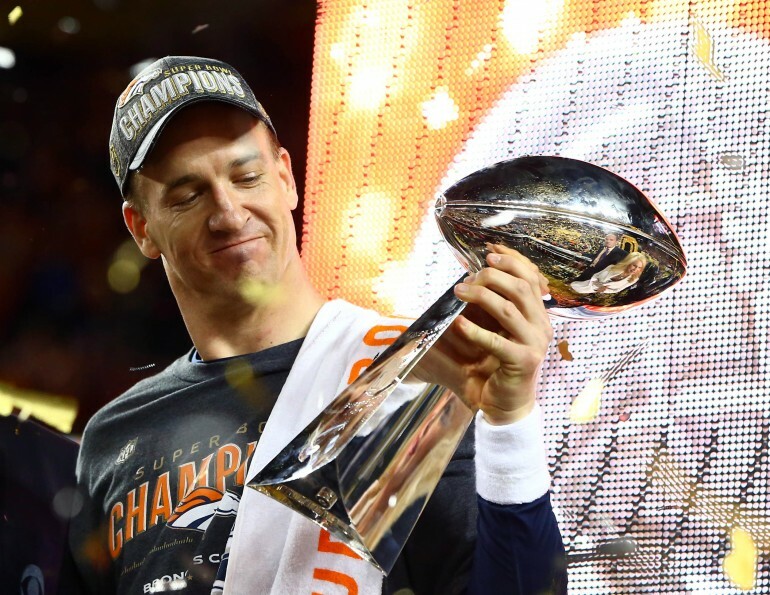 Manning did not have a stellar Super Bowl on Sunday throwing for 141 yards with one fumble and one interception. He rides off into the sunset as a two-time NFL Champion, and 200 career wins (regular season and post season). Newton did not fair much better as he was a paltry 18-for-41 on the day, throwing for 265 yards, with one interception and two fumbles. In total, both teams combined for six turnovers. Denver elected to receive the opening kick-off, and Peyton Manning drove the Broncos down the field and into the red zone where he nearly avoided a pick-six. Brandon McManus kicked a 34-yard field goal to conclude the drive and give Denver an early 3-0 lead. Von Miller made what might have been the play of the game when he sacked Cam Newton on the Carolina two-yard line. Miller stripped the football from Newton as he fell to the ground and the fumble was recovered by Malik Jackson in the end zone for the defensive touchdown. Jonathan Stewart opened up the second quarter with a one-yard Superman leap into the end zone to get the Panthers back within 3 points. Stewart had left the game early in the first quarter with a foot injury. Jordan Norwood returned a Panthers punt all the way down to the Carolina 14-yard line, but the Broncos were unable to find the end zone, settling for a field goal that increased the lead to 13-7 midway through the second quarter. Both defensives took over from there as points were at a premium in the second half. T.J. Ward put an end to what appeared to be a sure scoring drive for Carolina to open the third quarter when he intercepted Cam Newton on the 10-yard line. Graham Gano curled a 39-yard field goal inside the right upright with 10:21 remaining in the fourth quarter. But once again, it was Miller and the Broncos defense that took control of the game and allowed Peyton Manning to ride off into the sunset on what is likely his "last rodeo." Miller sacked stripped Newton on 3rd and 9 from the Carolina 16-yard line and T.J. Ward recovered the fumble and running back C.J. Anderson ran the ball in for the Broncos score three plays later.